Konstsmide Snowflake will transform the exterior of your home with enchanting illumination for the festive season and is an eye catching addition to your outdoor Christmas decorations this winter. This product code is 4460-103 for the warm white snowflake. 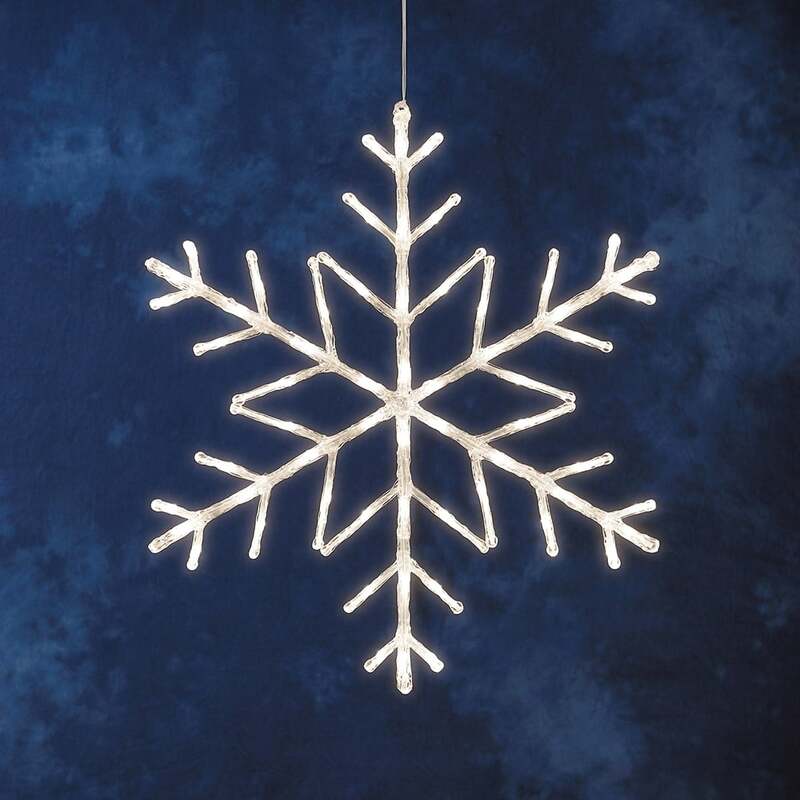 This magical light features an acrylic glistening snowflake with 60 warm white LED's incorporated throughout the design providing warm sparkling light. Mains operated, comes with transformer and suitable for indoor and outdoor use. Must be plugged into an indoor or suitably covered outdoor socket. Also available with bright white LED's which can be ordered from our website using product code: 4460-203.